Ruderalis Skunk is the most powerful descendent of Cannabis Ruderalis. 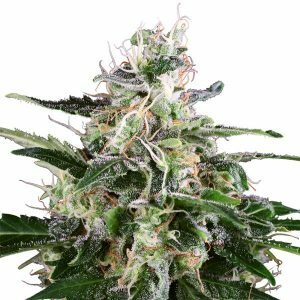 By bringing the auto-flowering advantage to Skunk #1’s dependable potency and yield, we have created a tough, rewarding outdoor hybrid for growers with short and unpredictable summers. C.Ruderalis grows wild across north-eastern Europe and is able to survive the harsh and varied climate through adaptations such as its auto-flowering capability. Wild Ruderalis plants flower according to age rather than a declining photoperiod, which allows them to take advantage of the warmest, brightest part of their brief growing season. 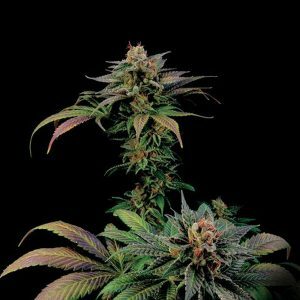 Ruderalis Indica was bred to be a psychoactive hybrid with features inherited mainly from C.Ruderalis broad, tough, bushy plants with the full auto-flowering ability and a much higher THC content than the wild strain. The Ruderalis Skunk breeding program achieved almost the reverse a Skunk hybrid that retains the potency, yield and vigour of its exceptional family line, inheriting only the unique flowering trait of the land-race. Around 50% of Ruderalis Skunk plants will auto-flower. As with Ruderalis Indica, blooming starts at the 5th to 7th set of branches typically within 5-10 weeks of germination, depending on how quickly plants are able to vegetate in a given climate. The other 50% of plants grown from seed will react to photoperiod, and will be triggered to flower around the same time as strains such as Early Girl and Early Skunk. This makes it possible for garden growers to have a double harvest each season with Ruderalis Skunk, and also means that photo-reactive plants will generally finish larger and yield more. Ruderalis Skunk conforms to a Skunk growth pattern, gaining slightly more height in blooming than an Indica, without the enormous potential stretch of a Sativa. 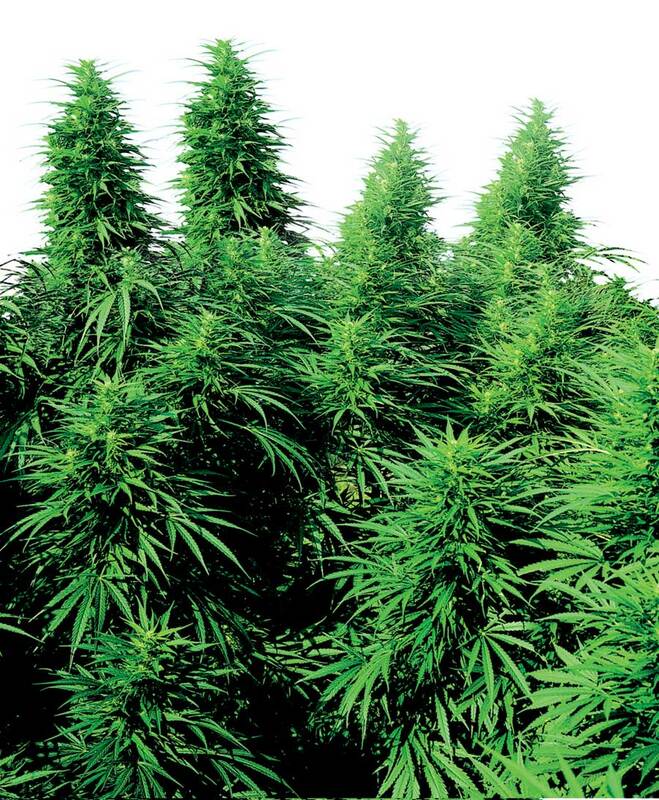 Auto-flowering individuals will rarely exceed 2m at full size. Flower formation is strong and fast, with thick tops clustering at every internode and extending along stem and branches. 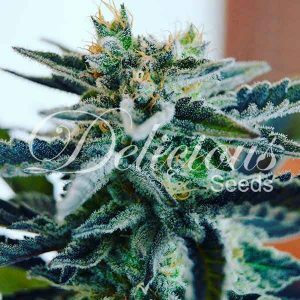 Resin production is clearly taken from the Skunk side of the family, covering buds and the single-bladed leaflets which grow from them.